Update, June 6: Ubisoft has confirmed the release times for Rainbow Six Siege Para Bellum. Been waiting for Rainbow Six Siege’s latest operation to go live? 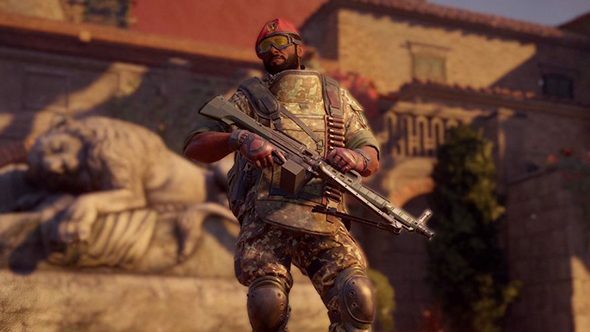 You won’t be waiting much longer, as Ubisoft has detailed exactly when tomorrow the new update will launch, bringing the two new Italian operators, the Villa map, and a host of other changes. As usual, the update means an hour of downtime, after which the new operation will be live for all to play. On PC, that downtime begins at 6:00 PDT / 9:00 EDT / 14:00 BST. (It’s an hour later on PS4, and two hours later on Xbox One, if you’re interested in, er, alternative platforms.) Once downtime wraps up, Para Bellum will be live for your enjoyment. Prove your tactical expertise with our list of the best FPS games on PC. As usual, season pass holders will get access to the new operators, Alibi and Maestro, on day one, with everyone else having the chance to unlock them a week later on June 14. The operation also includes the new map Villa, the Clubhouse map buff, and the Thatcher elite skin. Other confirmed changes in the patch include the Echo buff. Ubisoft has made an addendum to the patch notes since originally posting them, with varied additional items like easier claymore placement and the removal of grenade throwback. But we still don’t know if things like the dropshotting fix, which has kicked around the TTS for ages, will actually hit the live game here. If you’re heading to Los Angeles for E3 next week, you’ll have the chance to take Para Bellum for a spin against a team of devs during the afternoons. You’ll get a charm pack just for playing, but if you bring a whole squad and manage to beat your dev opponents, every player on your side will get a chibi figure to commemorate the occasion. That’s an adorable way to commemorate your tactical supremacy.